The SKLZ Vari-Break putting mat allows the golfer to practice all aspects of putting by performing like an actual putting green. It allows you to practice reading and making putts with variation. 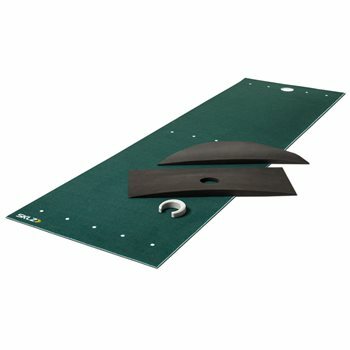 The Vari-Break putting mat includes two foam wedges and putt pocket, which can be moved around for a variety of putting scenarios.